When it comes to choosing the right commercial flooring for your business, a long list of boxes need to be ticked. You want robustness and longevity, safety and hygiene, low maintenance and good value. Visual appeal would be nice to have too. Guess what? Polished concrete delivers on all fronts, and with bells on. Historically considered as nothing more than a quick, cheap and serviceable building material, concrete does have an image problem. It conjures up dusty building sites and cement mixers, grey pavements and the ‘monstrous carbuncles’ of the 1960s so bemoaned by Prince Charles. Functional? Perhaps. Stylish? No way. However, in recent years, concrete has had something of a rebirth and, in its polished form, is now considered to be one of the most desirable and even glamorous building materials, favoured by architects and interior designers all over the world. Polished concrete is the on-trend material for high-end residential refurbishments, with flooring solutions that are as stunningly beautiful as they are practical. Polished concrete is also an extremely popular flooring choice for manufacturing facilities, production plant, communal areas, shops and restaurants – and there are 7 compelling benefits mentioned below to convince business managers that polished concrete flooring is a versatile and enlightened solution for any commercial environment. The trick lies in the ‘polished’ bit. 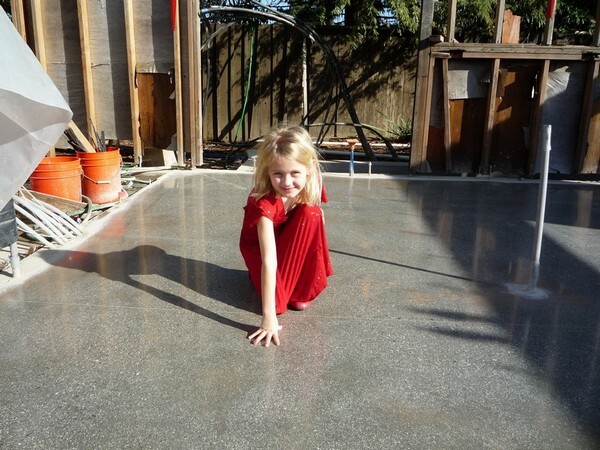 Concrete is poured – or you can use existing concrete flooring – and treated with a chemical densifier. The floor is diamond cut, with the grit progressively ground more finely, often to grit levels of 800, 1,500 or 3,000 for a really shiny finish. 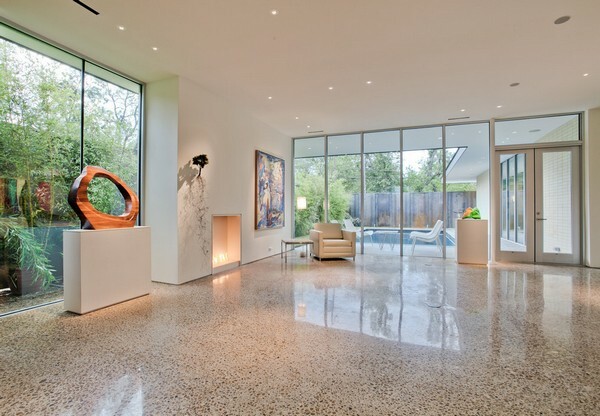 Concrete floors that are polished to less than 400 grit are called ‘honed’ concrete. Dyes and stains can be applied to enhance and customise the appearance and a host of special finishes can be applied for a unique look, including sawcut, engraved or burnished designs. Finally, a sealant is applied. The result is a material that has all the functional advantages of concrete, but with an array of visual possibilities that range from plain to industrial chic to elegant marble. 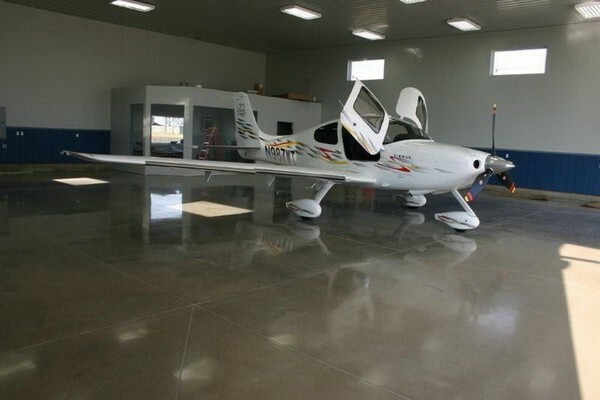 Polished concrete flooring is resilient and extremely strong. It can easily cope with heavy use from foot traffic and equipment. Offering the ultimate in durability, the material will not crack or dent and is nearly impossible to scratch, chip or damage in any way, making it suitable for even the harshest commercial environments. With a life span far longer than that of other hard floor coverings, a properly fitted, sealed and maintained polished concrete floor should last you well in excess of 100 years. Polished concrete flooring needn’t be expensive, depending on the level of complexity involved to achieve the required finish. Installation savings can be made by using your existing concrete slab, provided that is ready for polishing, staining and decorative finishing. However, value for money is really achieved in the long term. Due to the longevity of the material, it will not deteriorate for many decades, meaning a total absence of repair and replacement costs! 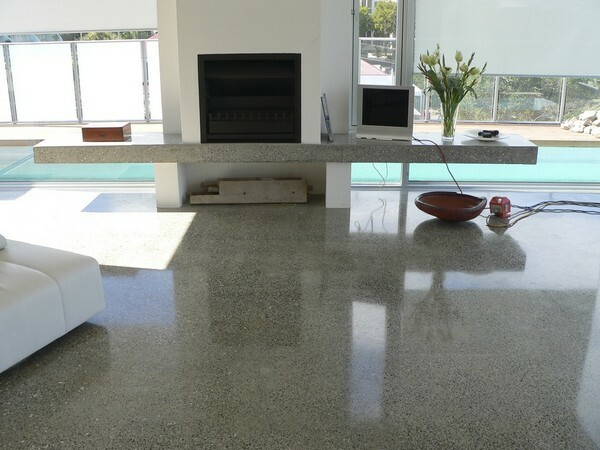 Polished concrete floors are much easier to look after than other hard floors. Sweep and wash the floor regularly to keep on top of dirt and debris and that’s pretty much it. 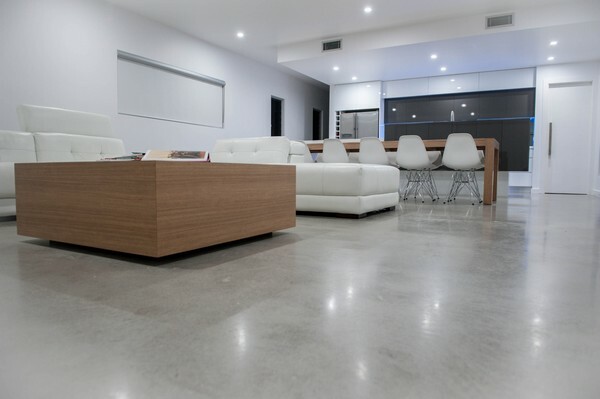 Depending on your particular commercial application, you may want to explore the endless variety of colour and texture effects that can be achieved with polished concrete to emulate the look of many other, more expensive building materials. It is also possible to add decorative engravings or stencilled graphics into the floor surface, making as much or as little of a style statement as you wish. Provided that your polished concrete floor has been properly finished and sealed, it will be impervious to water ingress. Waterproof barriers and anti-microbial protection can be applied, so that contaminants such as food, dirt or bacteria cannot penetrate. What’s more, mould, mildew and dust mites cannot live on polished concrete, making this material a very hygienic and hypoallergenic choice for many applications. 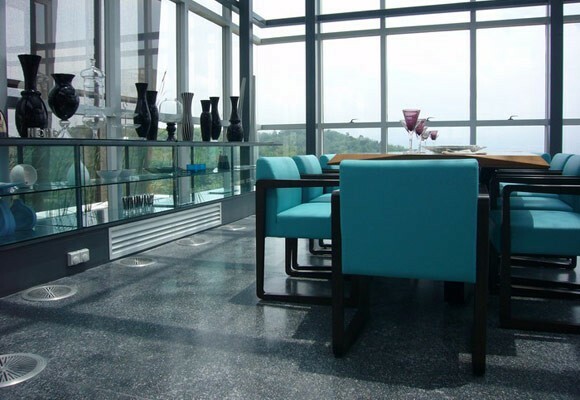 Depending on your particular commercial environment, you can achieve a totally risk free flooring solution by applying an appropriate coating for slip resistance, chemical resistance and thermal shock resistance. 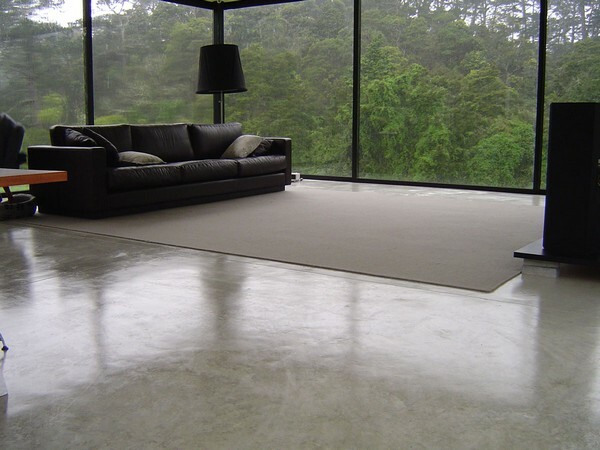 A flooring solution with universal appeal, polished concrete flooring is hard to beat. This article was written by Dakota Murphey, an independent content writer. Some of the information in this article was provided by industrial construction management company, Octego.